Since 2000, CTMH | Doctors Hospital has been more than a place to come to when you’re ill – we’re also a trusted member of the Cayman Islands community. 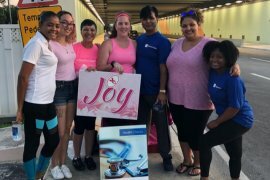 By cultivating innovative community partnerships, creating a supportive work environment and reaching out to those with limited resources, CTMH | Doctors Hospital fosters a spirit of caring in the community, helping to improve the quality of life for our patients, our employees and our neighbors. CTMH | Doctors Hospital provides you with classes, programs, clinics, screenings and special events. Here you will find a complete directory of what we have to offer. Classes are offered at various times of the year on topics ranging from children’s health and diabetes management to healthy aging. Registration is required for most programs. 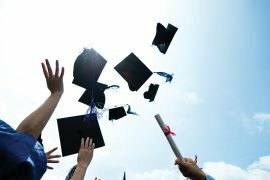 CTMH | Doctors Hospital is now accepting applications for its 2018 Scholarship Program. The scholarship is available for tuition assistance for an academic degree or diploma. Applications to be sent via email or in-person at CTMH | Doctors Hospital. Submission deadline is June 4, 2018. Download Scholarship Application. Come Along & Join the Fun! 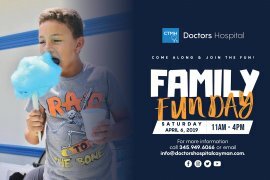 Family Fun Day: Saturday April 6, 2019. 11 AM – 4 PM. 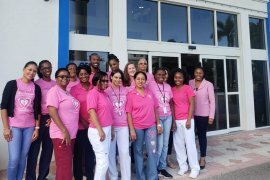 CTMH | Doctors Hospital employees dressed down in pink in support of Breast Cancer. CTMH | Doctors Hospital Volunteers at the Lions Club of Tropical Gardens Brenda Tibbetts-Lund Memorial 5K/10K Walk/Run held on October 14th.